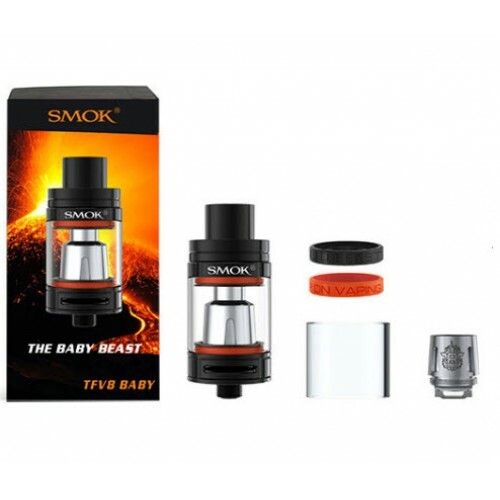 We’re excited to announce the Smok TFV8 Baby Beast tank. 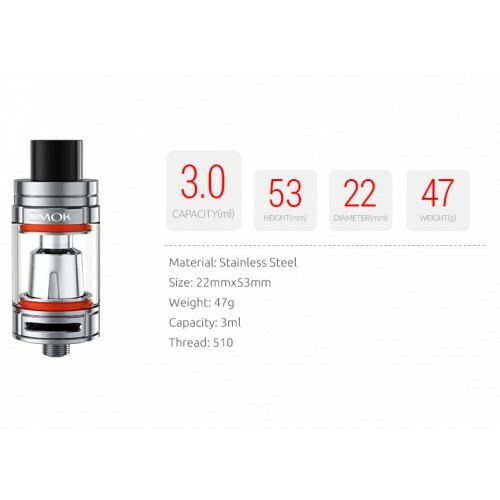 The micro TFV8 Baby Beast is 22mm version of the original and it holds 3.0ml of e-liquid, so even though this tank is much smaller, it doesn’t lack on the e-liquid capacity. This tank is about 30% smaller than the original, but it still packs a fantastic punch for its small size. The TFV8 Baby Beast comes in at 53mm*22mm and it weighs just 47 grams. 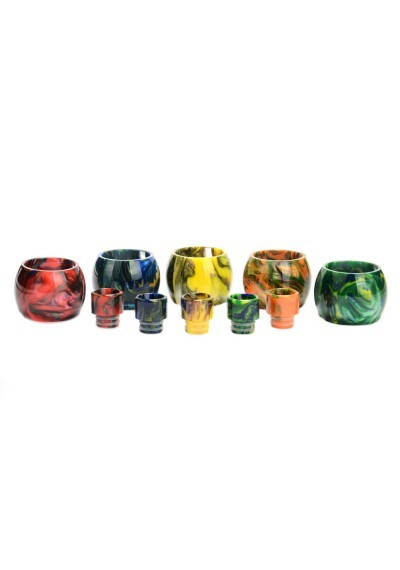 This tank is completely detachable and you can remove the base, coil head, glass piece, top cap, and even the drip tip to easily clean or rinse out your tank. 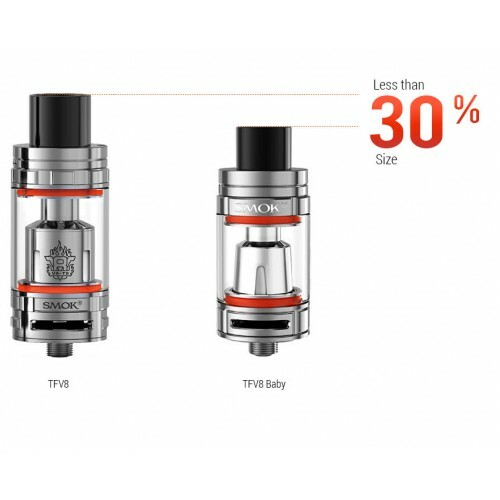 The TFV8 Baby will initially be released with two different coil heads, the V8 Baby-Q2 Core and the V8 Baby-X4 Core, both of which are included in this tank. The V8 Baby-Q2 Coil is rated at 0.2ohms with a recommended wattage range of 30-80 watts and the best range is 45-60 watts. The V8 Baby-X4 coil is rated at 0.15ohms and it is a quadruple coil build. The recommended wattage range on the V8 Baby-X4 coil is 30-80 watts, but it preforms best at 40-60 watts. 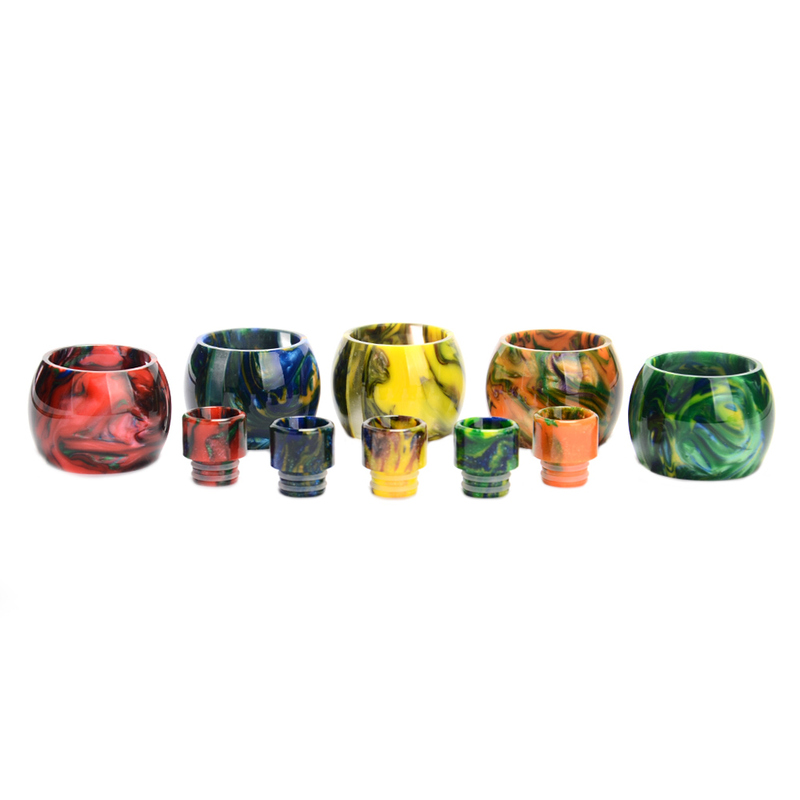 The Baby Beast RDA is also available should you wish to build your own coils. The adjustable airflow is located at the bottom of the tank and it features two large airflow slots. The airflow slots are adjustable, so you have the ability to customize how tight or airy of a draw you want this tank to produce. The Smok TFV8 Baby features the same top filling method that everyone has grown to love. The top portion of the tank swings open and allows you to easily fill up your tank with e-liquid. You don’t have the twist the top off of this tank, you can just pop the swivel to the side and fill up your tank.